S.A.S, nosedrops, is an unique combination of essential oils and minerals. 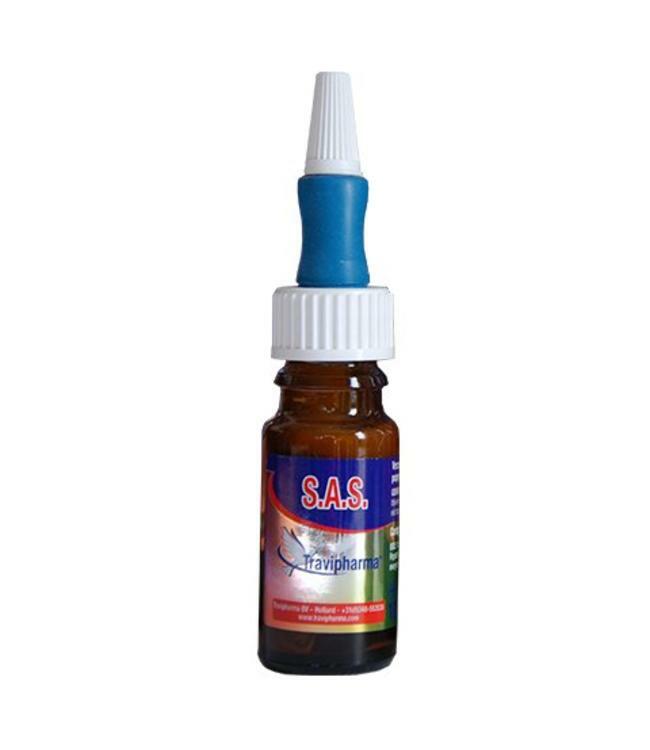 These nurturing nose drops have a positive effect on the respiratory tract. 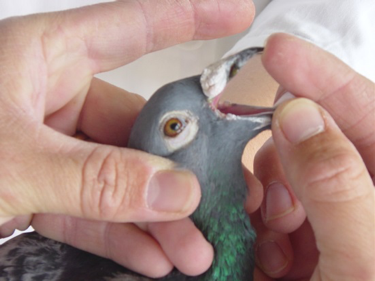 Hold the head of the pigeon firmly between the fingers. 1 to 2 drops in each nostril, this depends on the severity of the symptoms. Hold the head firmly to avoid shaking, Wait for 20 seconds, till the eyes water. After a few seconds S.A.S. will begin to work. 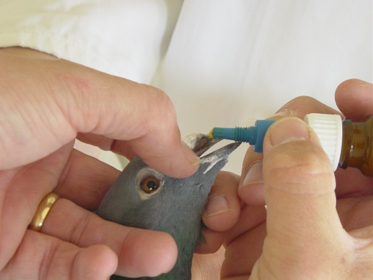 (when you want to speed process, open and close the beak). If the eyes do not water, the tear ducts are very blocked and you must repeat this step. After that, the pigeon is allowed to go back to the loft. Sediment formation can appear in this natural product. Shake well before use. For topical administration in the nostrils. Shake well before use. Dosage : 1-2 drops in each nostril, during 1 to 2 days. Stick head, eyes must tear. Repeat when eyes do not water. 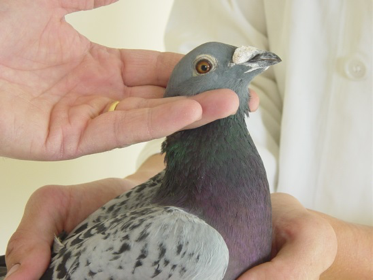 For the best result, when the pigeons are sick of mycoplasmosis, use S.A.
A combination of essential oils and minerals.